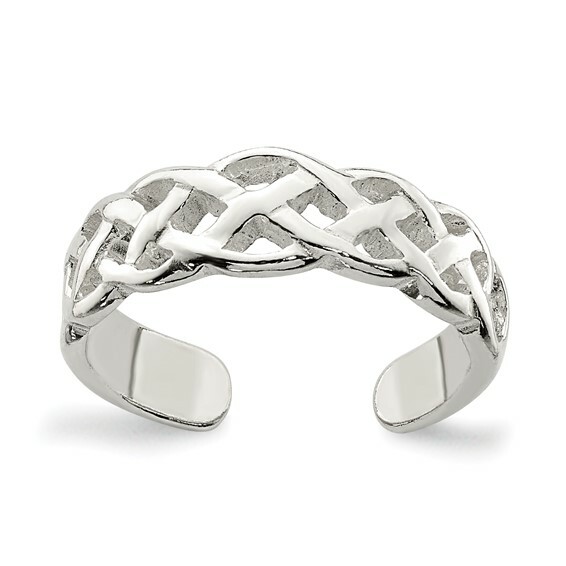 Celtic weave toe ring is made of polished sterling silver. One size fits most. Weight: 1.37 grams. Made in Thailand.